The time has come where a move out of the “Rock and Roll Capital of the World” is in the near future. 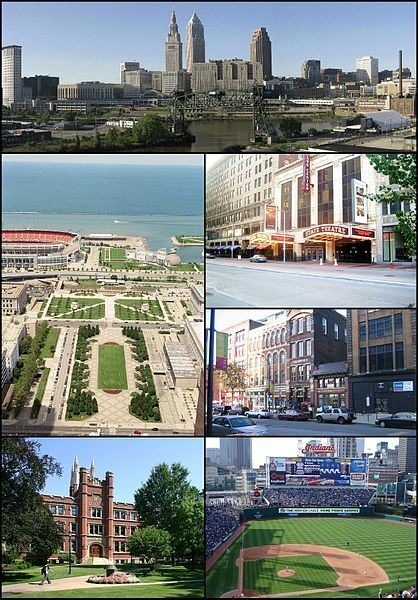 Moving a business or home out of Cleveland is best performed by professionals. They have everything they need to make the relocation process easier. Packaging supplies, dollies, blankets, and other tools are all a part of what the movers might bring with them to conduct the transport. Commercial moves, especially in an office environment can be rather time consuming. With the assistance of professional movers, this process will be a little easier, but there are still ways to prepare for an easy transition. A commercial move requires great attention to detail so be prepared for the move the best you can. • Have employees help you with the move. They could each pack their own offices or desks, and even help assist you with other tasks for the move. • Label each box legibly and appropriately with the room they are to go in at the new location. • Pack up electronics safely and do not over stuff them in a box. Try your best to keep all of the cords and pieces to each electronic together. You can use baggies for the cords and knickknacks. Then, tape the bags to the electronic they belong to. Take pictures of the assembly before you take the mechanism apart. • Allow the movers to relocate the heavy pieces of furniture or office equipment. They will have the experience and tools needed to disassemble and reassemble the bulky items. • Pack up filing cabinets first. Filing cabinets usually take the most time because of the attention to detail that must be paid. Keep everything in order as you pack. Some moving companies will do this for you if you purchase full service packing. • Any personal items or items of extreme importance should be relocated with you or a trusted person. Movers that specialize or offer services for commercial moves are those that should be considered first. They should have years of noteworthy experience in such moves. It is important that you hire the right company so that you can further avoid any mishaps.